So today I did numeracy and i completed all my 2s it was fun we did a sheet that was two first time I got it right. It was so cool I love my twos. I want to know how to count up to a thousands. Hey Dani it's TJ here I love maths too. 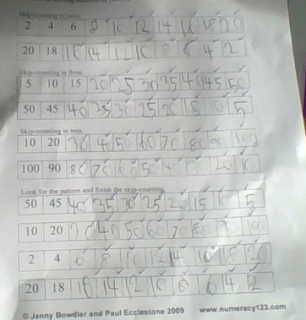 but 2s times tables is easy for me I like maths so much but I hope I see you around bye now.